When game day arrives, you want to serve the best tailgate food possible to satisfy everyone before the big game begins. From a deviled egg appetizer to main course nachos and caramelized onion dip on the side, you’ll have all the best tailgating food you need. 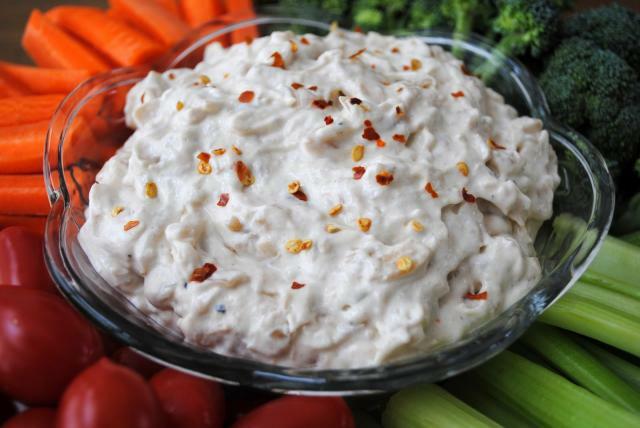 The following best tailgate recipes should make your next few tailgate parties a success. Prepare this best tailgate food the day before the big game. This tailgate food is quite popular, especially in Texas and other Southern states. In a large saucepan, place eggs in pan and cover with 2 inches cool water. Heat to a boil. Once water starts to boil, reduce heat to a simmer for 1 minute. After a minute, remove pan from heat, cover and let sit for up to 15 minutes. Peel and discard egg shells. 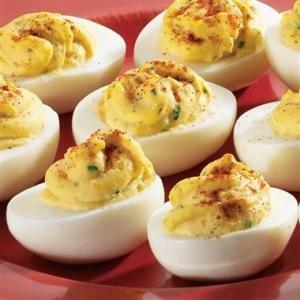 Slice the peeled eggs in half lengthwise and remove the yolks. In a mixing bowl, use a fork to mash the yolks together with mayonnaise, parsley, sour cream, spicy brown mustard. Salt to taste. Spoon the mixture into the egg white halves and chill until serving (at least one hour). Our favorite part about this best tailgate food is that you don’t need exact amounts. In skillet, heat ground beef or chicken until thoroughly browned, draining excess grease. Remove from heat and set nearby. On a large serving platter, place a layer of lime-seasoned tortilla chips. Sprinkle chips with ground beef and/or chicken, then top with black beans or refried beans. Next sprinkle shredded cheese liberally. Repeat this process two or three times. Top the final layer with lettuce, tomatoes, black olives, jalapenos, and several dollops of sour cream and guacamole. Serve with chips and crackers. This crowd-pleaser is easy to make ahead of time and perfect for dipping potato chips and crackers. The easy-to-find, inexpensive ingredients you need make it one of the best tailgate recipes. Here’s how to make this best tailgate food. In a large skillet over medium-high heat, melt butter. Brown the onions in butter for 20 minutes, stirring occasionally. Sprinkle with 1/2 teaspoon salt and 1/4 teaspoon pepper. Remove onions from the heat and let cool for 30 minutes. Combine the onions, sour cream, and chives in a medium bowl. Stir in remaining salt and pepper. Cover and chill for at least 30 minutes or for up to 2 days. As you gather everything for big tailgate parties, make sure you pack all the chilled best tailgate food in an insulated cooler to keep food at 40 degrees or below. Keep drinks in a separate cooler so the food is disturbed less often and stays cold. Food prepared hot beforehand can be transported in an insulated container to help it stay hot. We hope you enjoyed our tips for making the best tailgate food! For money saving tips and electricity plans, please visit our website at www.cirroenergy.com. You can also connect with us on Facebook and Twitter. Great recipes, can’t wait to try the caramelized onion dip.